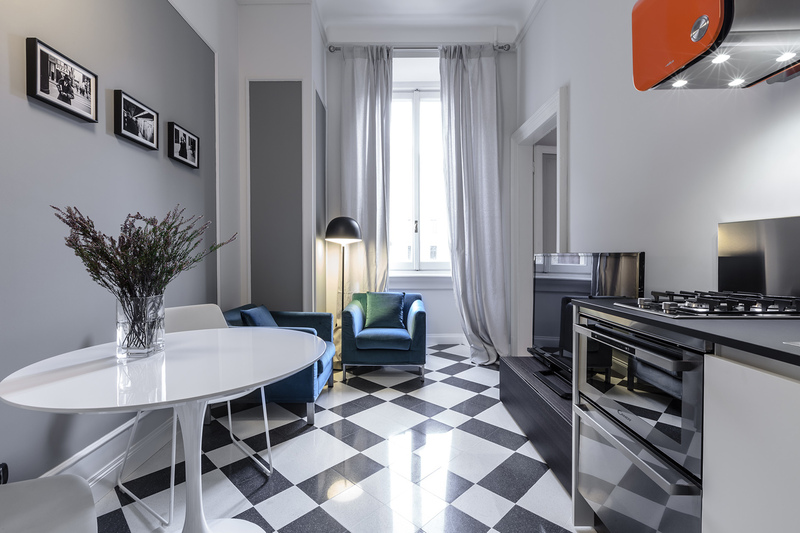 This stylish 400 square foot apartment at Piazza Cincinnato in Milan, Italy is decorated with marble tile floor by Mipa and old restored parquet. 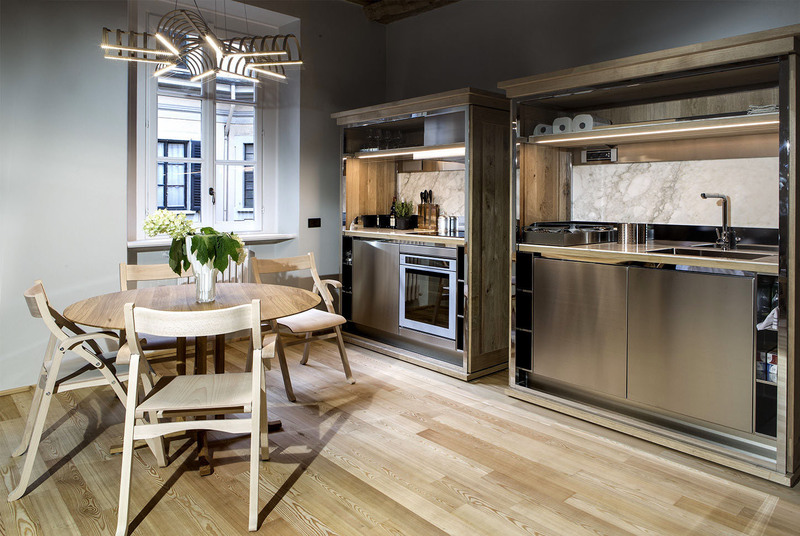 Located in a high density historic area in the Brera district in Milan, Italy, this studio apartment offers flexible living in a small space. 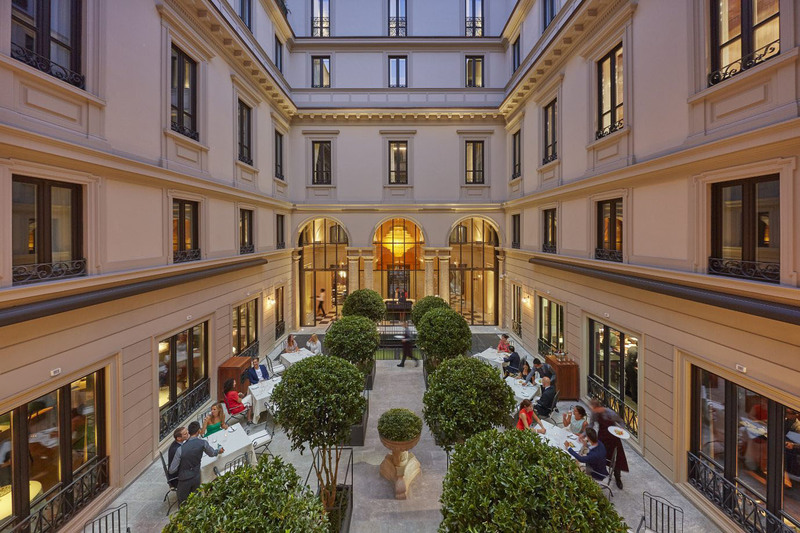 Combining Milanese design with timeless Oriental luxury, the Mandarin Oriental in Milan, Italy occupies four 18th century buildings in the heart of the fashionable city. 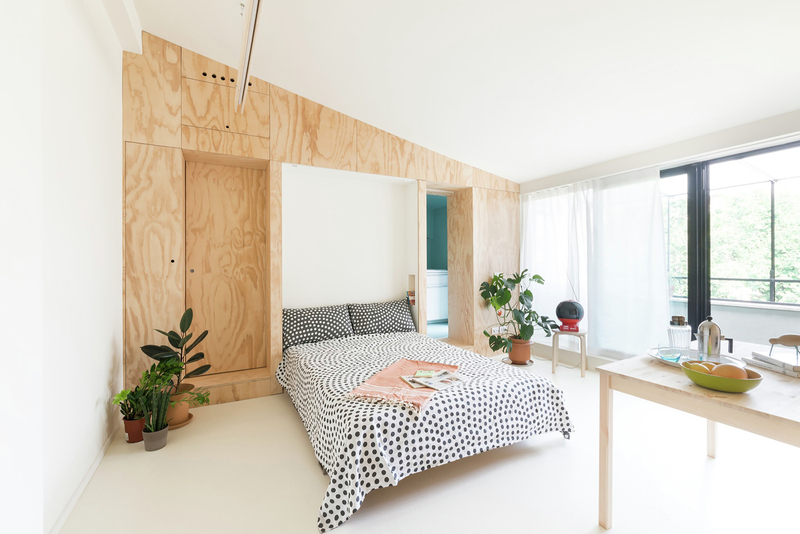 The small space of this tiny studio flat in Milan, Italy can change its function and appearance throughout the day. 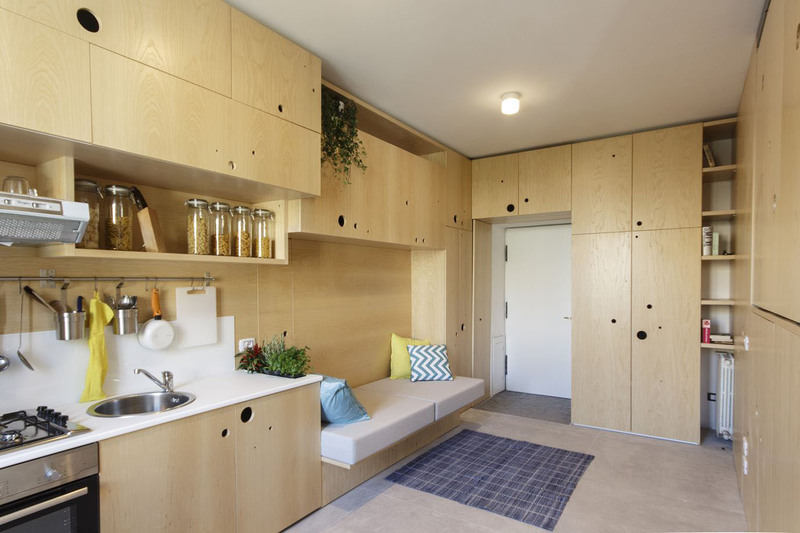 Designed by studioWOK, the 28 sqm (301 sq. ft.) apartment has a murphy bed that can be hidden by a plywood wall panel. The renovation of this 70 sqm (753 sqft) apartment in Milan, Italy uncovered elements of the 19th century era of the original building. Architect Michele De Lucchi preserved the old wood ceiling and the floors were redone with the traditional milan wooden slats.